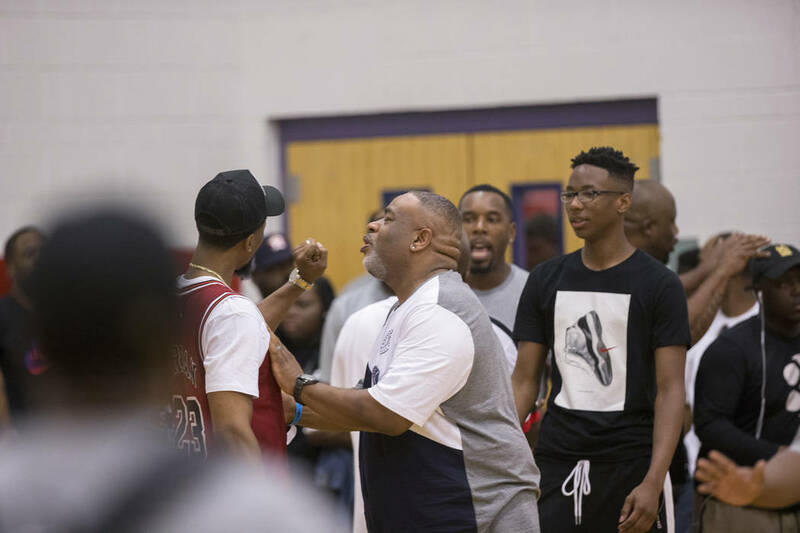 An altercation broke out near the gym entrance about 20 minutes before the 13-year-old LeBron James Jr. and the North Coast Blue Chips were set to play the Nike Meanstreets in a showcase game the four-time NBA MVP was present for. 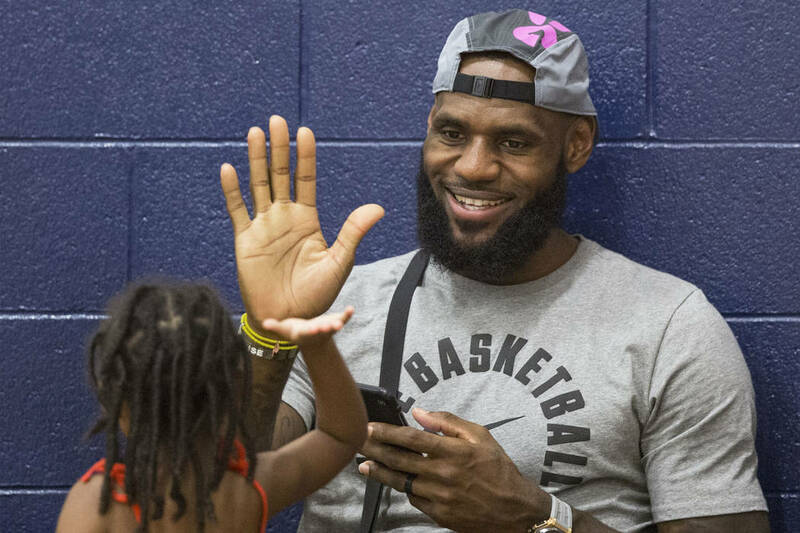 A pregame ruckus with an unruly fan Wednesday night cleared a gym at Liberty High School of about 150 spectators — including NBA superstar LeBron James, who had showed up to watch his son play in an AAU basketball showcase. 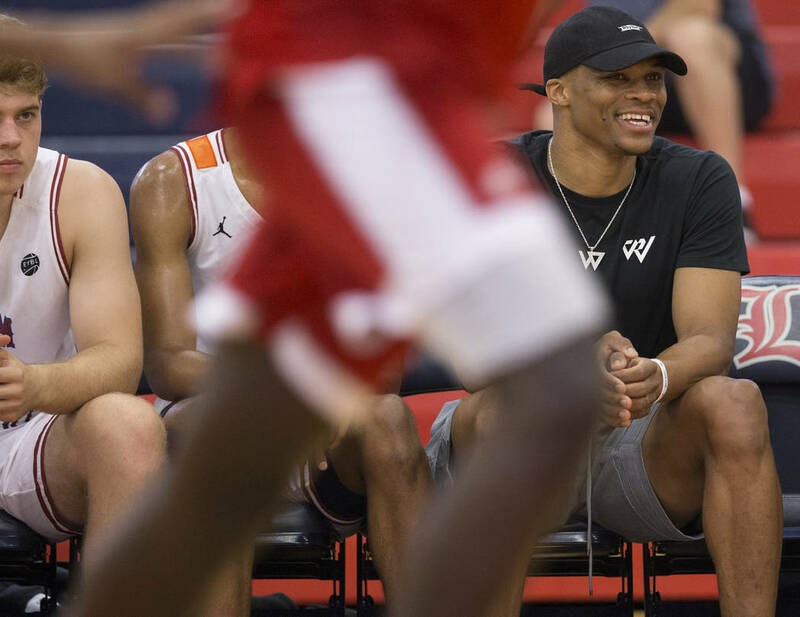 The game between Bronny James’ North Coast Blue Chips and the Nike Meanstreets was canceled after a man wearing a Michael Jordan Chicago Bulls jersey began ridiculing the elder James and was denied entrance, according to a event official who declined to give his name. The man, who was about 150 feet away from James, also screamed at event security and was eventually restrained, which triggered the cancellation and a brief altercation with security personnel. 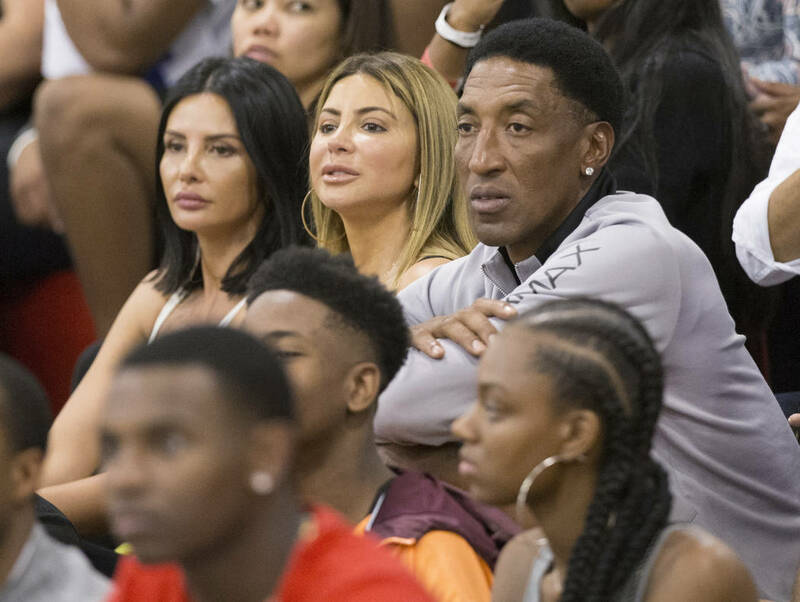 James, his wife, Savannah, and daughter, Zhuri, who were in seats along the court’s baseline, were promptly escorted out a side door with the Blue Chips players, all 13 and younger, while event security quelled the situation. 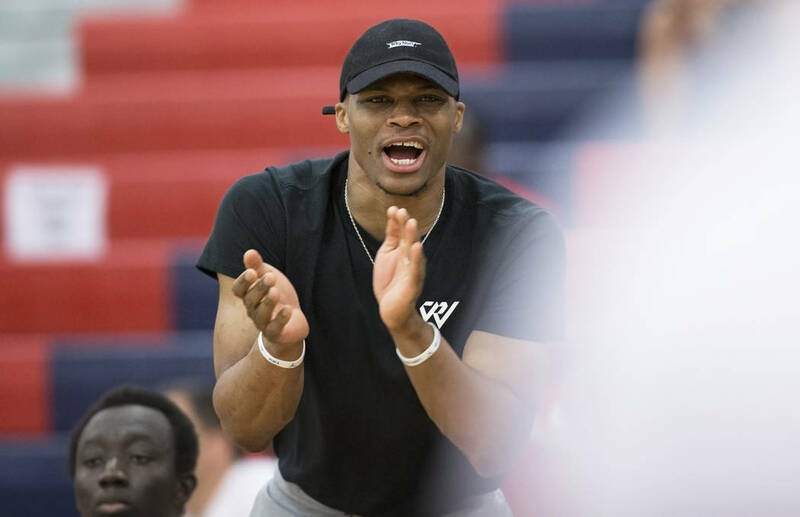 Spectators were redirected to the main gym, where a game between the Oakland Soldiers and Brad Beal Elite was being played. Meanstreets players waited in the auxiliary gym for several minutes. Event director Chad Babel of Made Hoops declined comment. James tried to attend a game last year at Cashman Center but overflow crowds triggered a fire hazard and he stayed away for safety concerns. 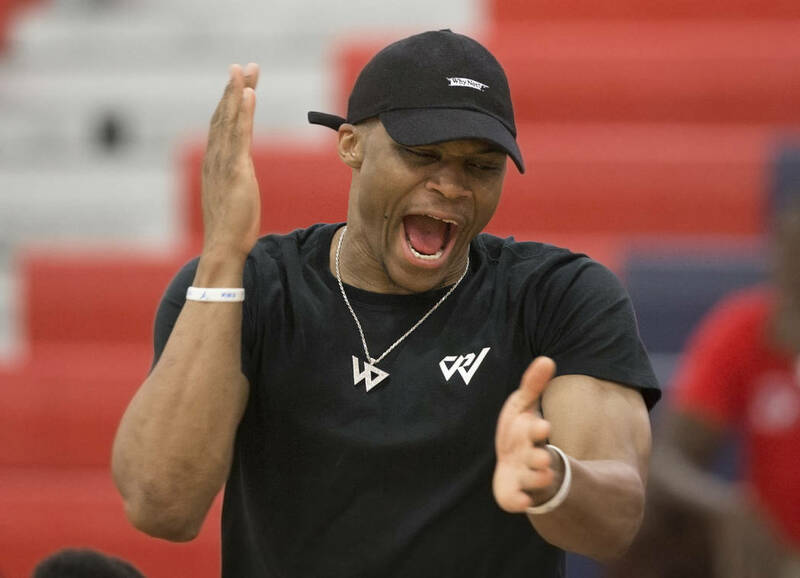 The altercation Wednesday came about 20 minutes before the younger James’ team was scheduled to play in an auxiliary gym. 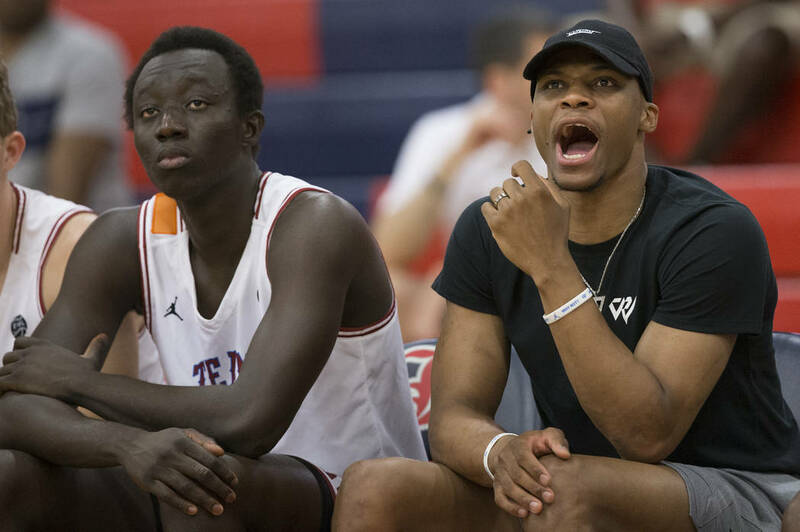 Cancellation aside, Wednesday’s series of showcase games at Gorman and Liberty high schools were a success in terms of competition and attendance. Hundreds of college coaches bounced between the two venues to watch some of the top youth players in the country. Former NBA star Amar’e Stoudemire was at Gorman with New York Knicks rookie Kevin Knox. 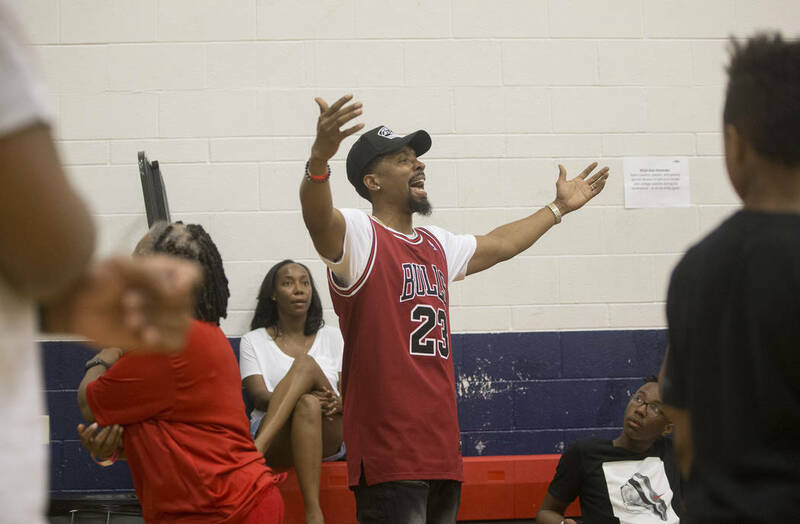 UNLV legend Greg Anthony was also at Gorman watching his son and top-ranked senior point guard, Cole Anthony, play against local standout Daishen Nix and the Simply Fundamental team. 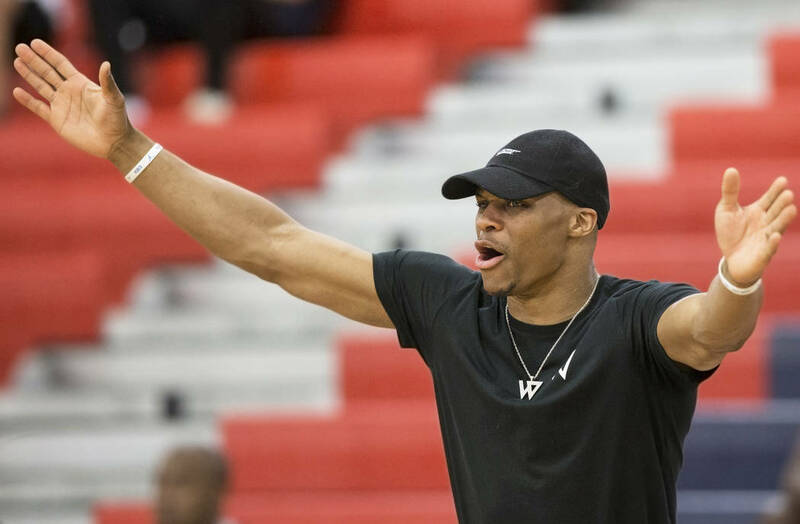 Oklahoma City Thunder superstar Russell Westbrook sat on the bench while his AAU program, Team Why Not, played Team Bradley at Liberty. 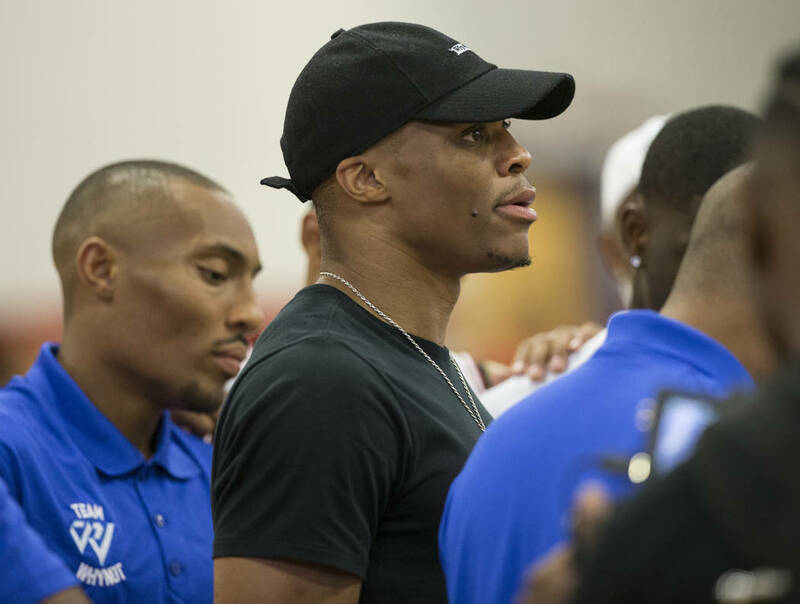 Denver Nuggets point guard Isaiah Thomas attended the Seattle Rotary’s game against the Las Vegas Prospects. 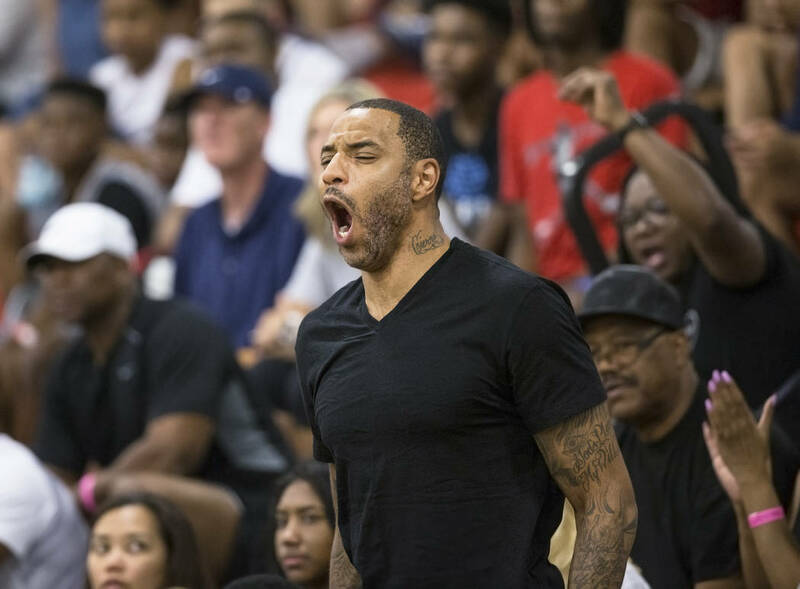 Former Chicago Bulls star Scottie Pippen and ex-NBA player Kenyon Martin watched their respective sons play for the Soldiers. A previous version of this story incorrectly stated the basketball affiliation of the game.